1. Do Disorganized/Fleeing Units lose their Special Rules? (Break Off, Dragoons, Pike and Shot Formation, Skirmishers, Rabble, Militia, Light Cavalry, Insubordinate, Feigned Flight, Independent, etc.) The rulebook and FAQ/Errata offer contradictory information. A Disorganized Unit loses its Special Rules only if it says so in the given Special Rule’s text in the rulebook. A Fleeing Unit may not use any Special Rules at all. 2. Player declares that Unit A will Charge Unit B, can he also declare a Countercharge with Unit C against B if B, while Countercharging against A, initiates an incidental contact with Unit C? Yes, he can – this results from the order of actions. Unit A declares a Charge. Unit B can react as it is targeted by the Charge – it declares a Countercharge. As the Countercharge meets Unit C on its route, Unit C is entitled to a reaction of its own (Countercharge, Break Off, etc.). Actions are performed starting from the last declaration – first Unit C Countercharges, then Unit B Countercharges, and finally Unit A Charges. 3. If yes then who is the Charge objective for Unit B – the Countercharging Unit C, or the Charging Unit A? The original Unit remains the Countercharge objective (in the above example Unit A remains the objective of the Countercharge of Unit B). 4. Who is the Charge objective for a Unit in Open Order if it initiates incidental contact with a base from Unit B, even though it previously contacted the original Charge objective – base from Unit A? Original objective of the Charge. 5. If a Commander fights on his own does his Base count towards numerical strength in the Combat Resolution? If yes, then does a Commander fighting on his own add his base to the number of allied Bases participating in the same multiple combat? 6. How should we treat a Unit (in terms of having/not having Poor Tactical Discipline), that has Bases in combat that are in an area canceling Poor Tactical Discipline, and Bases not engaged in combat that are outside of such area? If part of an Open Order Unit is in clear terrain then for the purpose of Combat Resolution calculation Poor Tactical Discipline is counted only if the fighting bases are in the clear terrain (they attack or are attacked). 7. Can a Commander have Poor Tactical Discipline? 8. When a gun is defending from normal fortifications (and not special scenic fortifications for artillery) is it treated as if fighting from by special scenic fortifications for artillery? 9. Does ”Wipe Out” counts only when the enemy Unit receives the same amount or more wounds than it has Strength Points as a result of hits suffered (including the elimination of the Commander due to “zeros” rolled), or does it also count if the Unit is destroyed as a result of Flight? Only when suffering the amount of wounds that destroys all the Bases of the fighting Unit. 10. Does Elite Cavalry attacking in Open Order have Poor Tactical Discipline? According to the Deluge supplement Elite Cavalry may Charge in two ways: moving as an Open Order Unit or as a Close Order Unit. In both cases it does not have Poor Tactical Discipline. 11. Is the following calculation of Close Combat and Skill modifiers correct? 1. A Disorganized Unit fights with only one die per Base. Treat this as if its Close Combat and Shooting characteristics were decreased to 1. If they already were 1 or 0 then nothing happens. A cavalry Unit (2 bases, CC=2, Shooting=1) becomes Disorganized. Its CC and Shooting are now equal to 1. 2. A Base attacked from the flank or rear fights with 1 die less than normally, and if it had only 1 die then it gets a -1 Skill modifier. The cavalry Unit described above is attacked from the rear (both bases are fighting). So the Unit will fight with 2 dice. If it was also Disorganized, or its CC characteristic would originally be 1 then it would fight with 2 dice with an additional -1 Skill modifier. 3. Units that suffered wounds loose 1 die (but only if the wounded Base is fighting), if it already had 1 die then it gets -1 CC modifier. The above cavalry Unit was attacked from the rear and has wounds. So it will fight with only 1 die (it gets -1 die per Base for the attack from the rear and in addition loses 1 die for the wounds). If it was also Disorganized, or its Close Combat characteristic would be originally 1, then it would fight with 1 die and a -1 CC modifier (CC reduced to 1 for Disorganization, then -1 Skill modifier for the attack from the rear, and then loss of 1 die for the wounds). 12. Are modifiers for shooting at a Unit in cover (terrain in which the target is located) and through an obstacle (terrains that are in the line of fire) cumulative? 13. Are obstacles of the same category cumulative or not (e.g. 3 fences, 2 groves)? Are obstacles of different categories cumulative or not (e.g. a fence and a grove, a fence and a Unit in built-up area, a fence and a building)? To hit modifiers for obstacles are not cumulative. Only one counts – the least favorable for the shooter. 14. Can a Unit perform wheels and/or cross obstacles during a Caracole or Countermarch? 15. How many additional dice does a unit get when conducting flanking fire from a building? +1 for every wall from which shooting is conducted. 16. Does a Charging Unit that contacted an obstacle behind which the Charge objective is standing get a -1 to hit modifier to shooting in charge for the obstacle? 17. If two enemy Units stand by a single obstacle (none of them is Charging), do they both get a -1 to hit modifier when shooting at each other? 18. Does the Rifled Weapons Special Rule work when shooting from a building? Yes. You may fire using this rule from behind an obstacle, from buildings etc. 19. Unit A won a multiple combat with Unit B being the original Charge objective and Unit C that attacked it from the flank. Is Unit A obliged to pursue Unit B, or is it free to pursue Unit C? It may pursue any of the Units defeated in Close Combat, as long as it is in its field of vision. Pike and Shot Formation – if the Unit is not the pursued Unit, Withdrawing after a lost combat, locked in close combat and it did not use Pike and Shot Formation already in this turn. Pursuit is a Charge. All Charge reactions can be declared and performed as reactions to Pursuit (if fulfilling all the requirements of the given reaction). There is one exemption: Countercharge, as it can be only declared by the Unit that have Charge order but did not charging in this turn. 21. If a Unit formed into a column is attacked from the flank and looses the Close Combat, and at the same time it is unable to perform a turn and Withdraw from the winner (for example due to lack of space for placing the Bases after the turn according to the rule ”one Base wide for every 4cm of depth”) does it automatically Flee? 22. What happens to a Unit that won a Close Combat against a building/wagon and must Withdraw (after winning the Combat) but is unable to do it as it would have to move closer than 2cm to another enemy Unit? If the Unit must Withdraw from Close Combat that it didn’t lost, it can do so even if it means that the Unit will move closed than 2 cm to the enemy. Withdraw the Unit by 0.5 cm and, even though it is within 2 cm from Combat and from the enemy, its Morale is not lowered. In theory it is possible that withdrawing Unit will get in contact with the enemy. In that case withdraw Unit as close the enemy Unit as possible. If the enemy Unit is behind withdrawing Unit, move the enemy by few mm so Units won’t touch. 23. Can Tartar Elite Cavalry perform a Break Off when moving in Close Order? Elite Cavalry Special Rule changed in the Deluge supplement. Now Units with this rule move as if they were in Open Order despite being set up as Units in Close Order. Tartar Elite Cavalry may use Feigned Flight in such Close Order as it is still moving as if in Open Order. 24. Can a Unit perform Maneuvers/move (dismount) after it Breaks Off? 25. If a Unit moved before a Break Off can it still Break Off half its Basic Move? As a Move before Break Off we understand any physical movement of the Base as for example a Special Maneuver. 26. When a Unit declares a Break Off does it modify its Move range by terrain modifiers? 27. How many Reorganization (canceling wounds) attempts can a Unit make per turn? As many as you like. You may roll as many dice as the number of wounds the Unit has; you may declare further attempts if tests are failed. 28. A Unit that has been Rallied after a Flight is set up within its Basic Move distance. Does terrain influence the range in which the Unit is set up? 29. Do Fleeing enemy Units within 20cm from a Unit attempting to Rally from a Flight block the possibility to Rally? b) deduct the obstacle crossing Maneuver cost from the Units Move characteristic, move the Unit directly from the starting point to the destination point? 31. A Unit in Open Order crosses more than one obstacle during Movement/Charge, but each Base crosses only one obstacle. Is the Move range reduced for each obstacle that the Unit is crossing with at least one base or the Move range is reduced once for the whole Unit? 32. Does a marching Unit stop automatically 20cm away or more than 20cm away from the enemy? The Unit must stop more than 20cm from the enemy. 33. Unit without an Order withdraws towards own table edge by half its Move, the other half can be used for a turn. Does that mean that all other Maneuvers (frontage narrowing/expansion, wheel, crossing an obstacle etc.) should be “paid for” from the first half of the Movement range? 34. Is it possible to enter and exit a building in one turn? 35. Does terrain (e.g. a bog) reduces the range of Base’s movement when performing the Change of Position Special Maneuver? 36. Where is the front of a Unit that moves from a line into a column as a result of a 90 degree turn? Is the front of the formed column (the first Base) in the same point as the side of the line in the direction towards which the turn was made, or is the back of the formed column (the last Base) in the same point as the side of the line in the direction away from which the turn was made, or do I mark a point in the middle of the line which becomes the middle of the column to which other bases are aligned? 37. When occupying a building the number of Bases entering the building is up to the player commanding the occupying Unit (not more than the building’s capacity), or is it always occupied by the maximum (available) number of Bases? It is up to the player to decide how many Bases will occupy the building. 38. Do ploughed fields and corn fields cancel Poor Tactical Discipline? 39. Is “typical” terrain the same as “clear/normal” terrain? No. “Clear/normal” terrain is the whole empty/clear space on the table, which is not “typical” or “untypical” terrain. 40. Does an obstacle always increase the Armor of Units behind it, or only if such Units are in contact with the obstacle and the attack is made across it, or only if such Units are in contact with the obstacle and the attack is made across it and the Units using the obstacle as cover have a Defense Order? Only if the Unit is in contact with the obstacle and the attack is made across it. 41. Can cavalry attack a Unit on a cliff/steep slope in Close Combat if the attacked Unit is standing on the edge of a cliff/steep slope? No, as there is no contact between their Bases. In such situation the attacker must withdraw as a result of a failed Charge. 42. If before making an Additional Move when Charging/Fleeing/Pursuing a Unit is outside very difficult terrain, then can it move into very difficult terrain with its Additional Move/Charge/Flight according to general rules or should it stop after contacting such terrain? A Unit may not move with its Additional Move when Charging/Fleeing in very difficult terrain so it must stop when it contacts such terrain. 43. Can a Unit in building place Caltrops? 44. Can Caltrops be placed at any side of the Unit? 45. Can I get Caltrops if I have only one regiment that can use them in my army? No. Caltrops are subject to both restrictions – like all mobile obstacles you may only get them for half of the regiments and in addition for only one regiment per army. E.g. when fielding 4 infantry regiments only two can have obstacles, and only one of them may have Caltrops. 46. Does a Unit (including Open Order Units) contacting more than one Caltrops element makes a Skill test for every Caltrops element that it contacts or one test per phase? 47. When a Commander joins a Unit such Unit cannot move anymore. Does that mean that when a Commander joins a Unit such Unit cannot perform Pike and Shot Formation, Break Off, Caracole, Countermarch, Flight, Withdrawal, Pursuit in the same turn? Joining of the Commander does not restrict movement in the above situations. 48. When a Commander who is the objective of a Charge joins a Unit then does the Charging Unit continue its Charge against the Unit with the Commander as if this Unit was the objective of the Charge? No. The Commander is treated as if he ran from the Charging Unit’s field of vision. 49. Can a Commander leave a Unit if such a Unit with a Commander is in Close Combat? 50. If a Unit was joined by a Commander, then can another Commander modify its Morale test with his Command Points, as long as the joined Commander does not modify the test with his Command Points? 51. If a gun is manned again under the command of which Commander will it go? After a gun is manned it goes under the command of the Commander commanding the Unit manning the gun. The gun does not increase the Coherency of the regiment that captures it but loosing it will result each time in 1 Breaking Point for the regiment. 52. If a player deploys free field fortifications using the medium artillery rules then must medium artillery be placed in them or can it begin the game in another place? It must be placed in fortifications. 53. When are free field fortifications using the medium artillery rules placed on the table? With all other field fortifications. 54. Do medium artillery field fortifications grant cover to foot figures (as normal fortifications) and do they grant cover to cavalry? Fortifications were not prepared for infantry. As a result only artillery may use them. Other formations treat it as a normal obstacle of more than 2cm height (see the main rulebook, p 100). 55. Ammunition from Ammunition Wagons is taken within a Move distance from the Ammunition Wagon, that is within 10cm, or within the Move distance of the Unit taking ammunition? Within the Basic Move distance of the Unit taking ammunition. 56. Does an Ammunition Wagon explode if it loses its crew as a result of a filed Morale test? If not, then can it be manned as normal and used? If a wagon is manned does it count towards losses? No. The Ammunition Wagon as any other transport wagon does not have a crew and so cannot lose it. As a result it is completely immune to Morale. 57. How do you count Bases/Units for the purpose of Morale tests triggered by Flanking Maneuver/Ambush? The total number of visible Bases of Units appearing within 40cm from the enemy or the total number of Bases of Units visible within 40cm from the enemy? The total number of all bases in the visible Units is counted. It does not matter whether you see only one base from the Unit – you still count all the Bases (otherwise this might lead to counting only the first Base of a column…). 58. If Flanking Maneuver and Ambush/Ambushes appear at the same time do you count the total of all Bases appearing from Flanking Maneuver and Ambush/Ambushes for the purpose of Morale tests caused by Flanking Maneuver and Ambush? No. There is no such possibility. You first declare and perform one Flanking Maneuver/Ambush and after this is settled you may move on to another one. 59. Is Morale tested only once when Flanking Maneuver and Ambush/Ambushes appear simultaneously? No. Each of those actions is a separate procedure. 60. Can Units arriving on the table as a result of Delay be joined into a Squadron? No. Tests for arrival of Delayed Units are performed separately. After the test is passed you should immediately place the Delayed Unit on the table according to the rules from the rulebook. Such Units may not be joined into Squadrons with Units that already are on the battlefield. Example: You have 2 reiter companies in Reserve. I the reorganization phase roll a test for the first one and if passed place this Unit on the table, then roll a test for the other one and if passed place it on the table. 61. Does the additional Unit joined to the regiment get all the Special Rules assigned to the given regiment (Small Companies, Military Drill, Swimming etc.)? 62. If a gun is manned again does this cancel Breaking Points or losses? 63. In case of a failed Charge, do Deli loose the Order, ignore Disorganization caused by the failed Charge (no wounds) and stay in place (no Withdrawal)? If Deli fail their Skill test after a failed Charge they lose the Charge Order and ignore all Disorganization effects (do not Withdraw and do not receive wounds). 64. If Deli are attacked from the front and from the flank and loose the combat do they automatically receive 2 wounds and Withdraw along the resultant line (they do not Flee)? 65. Do Segban and Azabs count as a horde? 66. Are Zavoyevodchicy a single additional Unit regardless of the number of Bases? 67. Does Jasyr influence only Units from the chambul it belongs to or all Tartar Units? It influences all Tartar Units in the army but not Allies. 68. When using a Forced March are Kapikulu using their Special Rule treated as cavalry Units? 69. Do appearing Delayed Units cause a Morale test like in the case of Flanking Maneuver/Ambush/Unexpected Reinforcements? 70. What happens if I give the Bad Day Effect to my opponent and his Commander has only 2 Command Points? Is the Effect lost or changed into a Good Day for my Commander, or do I roll for a new one? In such situation you may choose to take a Good Day for your Commander, or no effect (you choose a Bad Day but the opponent is immune to it). This Effect cannot be chosen more than once – if there are more you should reroll. 71. When using the Decisive Moment Reconnaissance Effect the player makes a decision about a reroll before the roll modifiers are disclosed or after? The reroll is made after both players make rolls and the values are compared (including all modifiers). At this moment the player may declare a reroll. All modifiers from the first roll are applied. You may not modify it with new Command Points, etc., as this is not a new Initiative roll but reroll of the value of the first roll. 72. Can the Division Reconnaissance Effect affect the same Squadron twice? If yes, then do I randomly choose Squadrons first and then introduce effects, or do I randomly choose a Squadron and introduce effect, randomly choose another Squadron and introduce effect? Yes. The effects are introduced in sequence. 73. Do wagons count towards the Skirmish Force Coherency in the Convoy scenario? Yes. Losing them also influences points for losses. 74. Where should I place Janissaries in the Convoy scenario – anywhere or at the end of the convoy? Instead of camels (at the end of the convoy). 75. In the first four Polish-Lithuanian Commonwealth Skirmish Forces (Polish Crown) there is no information about the number of Units able to take spears. Does this means there are no spears at all in those forces or is this a mistake? The number of spears available is given in the “By Musketoon and Saber” Special Rule. 76. For the purpose of Special Effects are additional Units counted as one Unit or according to their division into banners/companies? According to their division into banners/companies. 77. Does the Deluge cancel the general rule from the Errata that one elite regiment can be taken per every cavalry/light cavalry regiment? 78. Does Discipline always grant +1 Morale modifier for every 4 Bases or only when the test is caused by appearance of the enemy? Always when the Squadron has 4 or more Bases. 79. How does the maximization procedure looks like, how many centimeters/Bases, how to maximize Bases/Units in Open Order? 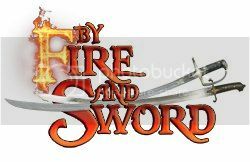 There is no maximization requirement in By Fire and Sword. You may move the Units in Close Order according to the rules on p. 64. 80. “Numerical Superiority 3-4 FSP” – the marker is discarded before or after the roll? 82. Is it possible to change the Order of the Bait? Yes, but only for Command Points. 83. How should I treat the camp for the movement of artillery? 84. Can the “vanguard” make a Forced March in addition? 85. What happens if one player wipes out/forces Flight out of the table of all enemy Units, but at the same time does not manage to take control over the scenario points/areas in Take positions, Defend the village, Attack on a village, Defend the crossing, Capture the crossing, Forage? Such player gets Scenario points only for those tasks that he performed. This means that if he focuses on killing the enemy there might be a situation in which he gets 10 points for enemy losses and his opponent gets 6 Scenario points. 86. Can a Commander use his Command Points to increase/decrease Skill for the purpose of Flaking Maneuver/Unexpected Reinforcements/Delay roll? 87. Do any Bases of a given player count as Bases, also Bases of Commanders, guns, wagons, etc.? Are Commander Bases counted for area control/destroying forage etc.? All Bases are counted in the same way (excluding special situations – like Fleeing or Disorganized Bases). Attached Commanders are not counted for control purposes as in such situation they are only a marker. 88. Is the rule of choice of every third Effect from the Errata still in force? Yes, as long as both players agree to it (it is an optional rule); in case of a tournament the decision is made by the organizer. 89. Patrol: The points to reconnoiter must or may be terrain elements (is a single marker in the form of a well enough)? Is it enough to be within 10cm of the area in which the point is placed or 10cm from the geometrically specified point? Can I use the Choice of terrain Effect/Special Rule to move the terrain elements which include the point in such a way that after moving the point is still within the given terrain element? The markers must be placed within a terrain element and be located in the centre of such terrain element. 90. Take positions: Which Bases control the hill – only the Bases on the hill, or the Bases on the hill and within 10cm? According to the description of control in the scenario everything within 10cm from the point – that is the hill, according to logic only what is on the hill. Are only Bases completely within 10cm of the marker/hill considered when calculating control or all Bases even if they are only partly within 10cm from the marker/hill? Place markers on the hill (in the middle) and on approaches. They are controlled by Bases that are within 10cm from these markers. A part of the Base is enough, it does not need to be completely within 10cm. 91. Defend the village/Attack on a village: Does the village have any entries or is it completely surrounded with a fence? Is it possible to move the village with the Choice of terrain Effect/Special Rule? Are only Bases completely within 10cm of the marker/inside the village considered when calculating control or all Bases even if they are only partly within 10cm from the marker/inside the village? The village is completely surrounded by fence. It may have some entrances but for the game purposes they are still treated as an obstacle. In other words entering/exiting the village always reduces Movement by 2/5cm. The village cannot be moved as this is a key terrain element for those scenarios. All bases within 10cm from the marker count. A part of the Base is enough, it does not need to be completely within 10cm. 92. Can the Transylvanians using the "Take That Hill!" Special Rule occupy a hill that is partly within its half of the table (of course only the part which is on his half)? If yes, then can he occupy the hill in the Take positions Scenario? You may only occupy hills that are entirely on your half of the table. In addition you may not occupy a hill on which the enemy placed his Unit. 93. The “Time of Reforms” Special Rule in the 1673-76 Polish Skirmish Force: I can have up to 1-2 banners of pancerni with spears and 1-2 banners of cossack style cavalry with spears in the Skirmish Force. Using this rule can I have 4 banners of pancerni with spears? 2 banners in the "normal way" and 2 after replacing cossack style cavalry with spears with pancerni with spears. 94. Chaos Effect: Can a Commander use his Command Points to increase the Morale of a Unit subject to this effect? Who chooses which wagon receives the wound? Yes, he may. The player owning the wagon train chooses the wagon. 95. Forced March: Can a Unit March when performing a Forced March (assuming that all requirements for a March are met)? Yes. Forced March is a normal, free Move and is subject to all its rules. 96. Their Sight is Better and More Penetrating: Does this rule still work when there are no Tartar Commanders on the table (all were killed or Fled)? No. The rule does not work without a Commander. 97. Does the Tartar Special Rule "They Have a Lot of Guns" also apply to artillery? 98. A cavalry Unit was shot at by two enemy Units, it lost a Base and was Disorganized. Both enemy Units scored the same amount of wounds and have equal numbers. How should the cavalry Withdraw? It should withdraw along a resultant line from both Units (just like in Close Combat). If fire was conducted from opposite sides then the cavalry Unit stays in place. 99. After replacing petyhorcy with pancerni do they still count towards the limit? Swedish Marauders and the Robbers rule. 100. If I roll 8-9 for a single Base? The Skirmish Force rules say that single Bases of Marauders cannot operate by themselves. Treat this as other situations in which you cannot use this result (Delay etc. ), that is as 6-7 result. 101. Specifying once more whether the Charging Unit is in the front/flank/rear area of the Charge objective is done before the Additional Move in each case or only if the Charge objective moved after the Charging Unit made its Basic Move? 102. Do Unexpected Reinforcements cancel losses? 103. Does a Unit from Unexpected Reinforcements effect must represent a Unit from the field or is it enough that the Bases are of the same type? Example: I have two unarmored mercenary reiter Squadrons, each with 2 bases. Both lose one Base each. Can I activate Unexpected reinforcements now or do I have to wait until one of the Squadrons loses both Bases. You need to wait until one of the Squadrons loses both Bases. The list you are using (specific companies/banners are arriving). 105. Does a wagon with killed crew count towards losses or does it have to be destroyed? The wagon must be destroyed, killing the crew is not enough. The wagon without the crew is still operational. In fact in terms of movement or combat it becomes a normal transport wagon. It can be eliminated from the table only when destroyed. 106. If a Unit receives more wounds in Close Combat than it can absorb, are all wounds counted or only as much as the number of "life points" that the Unit had. This is significant only in case of multiple combats where you can get an "overkill". Example: a gun receiving more than 1 wound, Cossack wagon receiving more then 3 wounds, a Unit receiving more than 3x number of Bases etc. Count only as many wounds as the Unit can receive. 107. If I loose a gun crew can it be placed in reserves and be placed back on the table as a result of Unexpected Reinforcements? In such situation I would have two guns, one of which must be manned. No. You loose the crew and only the crew would return onto the table. At the same time it is impossible as the gun crew cannot return by itself. Similar situation may occur in case of single-base companies which cannot operate independently and so cannot return onto the table. 108. A Disorganized 2-Base Unit loses a Base as a result of combat/shooting but wins the combat/passes the Morale test. Can the single Base remain Disorganized in such situation? 109. I can take as many Reconnaissance Effects as my Skirmish Force Commander has Command Points. If I take Forced March on 2 Units – does it count as 1 or 2 effects? Each Forced March counts as a separate Effect. If you take a Forced March to move one large Unit, it is still a single Effect, regardless of its size. 110. Forced March can be taken 3 times. Does sending a 10-Base Squadron, that costs 12 points, counts as choosing 3 Effects or only one but more expensive? As one, more expensive. Having an appropriate Commander (with at least 3 Command Points) and a huge Reconnaissance advantage (36 points) you theoretically are able to send 3 such Units on a Forced March. 111. Mobility of Peasants: Shouldn’t there be a reservation that a Unit occupying a building does not need to take a Skill test? What will happen if the peasants occupying a building do not pass a Skill test? Are they still occupying it with a Move Order, or will they automatically leave the building and receive a Move Order? Yes. They still occupy the building with a Move Order, this means that they can shoot only in the Fire after Movement Phase and do not get the advantage in Close Combat. See that the rule on p. 101 allows the possibility for a Unit in a building to have a different Order than Defense (e.g. have no Orders). 112. Peasants with firearms Base: Can this Base shoot if it is in one Squadron with Bases that cannot shoot? Yes. Just like in the case of mixed moloitsy or azabs Squadrons. 113. After a failed attack against a building an attacking Unit must Withdraw, but an enemy Unit is standing behind it. Which way will the attacking Unit Flee? Away from the building, as in every case in which a Unit loses a Combat and cannot Withdraw. 114. Does the possibility of placing two fields by one player influences the limit of terrain elements on the table? Yes, it is the additional rule of the regiment and not a ‘gray’ Base. 116. Do the "Invincibles", "Douglas’ Division" and Tykocin Skirmish Force use the new version of the Discipline Special Rule? Yes, it replaces the wording from the main rulebook. 117. Can the Swedish Detachment give up arquebuses in whole, field a 3-Base reiter company for this, and then replace it with a 3-Base dragoon company? 118. Are there any restrictions concerning the number of arquebuses and armor when fielding two Brandenburg reiter demi-regiments as allies? 119. Douglas’ division and the "We Fought in Poland, Prussia, Livonia" rule – do I still get an additional reiter Base in veteran regiments? You do not get the free Base anymore (this resulted from the main rulebook and change of Command Points of the regimental Commander), but you still get a free Command Points increase. 120. Muscovy: Is the Don Cossack regiment counted as a Cossack regiment? Can I have Don Cossacks and Cossacks as allies? Yes you can, these are two types of Cossacks. 121. Can cossack style cavalry from the partisan party have spears? 122. Financial Problems: Is it possible that the Command Points of regimentarz can be decreased to 1 and the colonel’s to 0 if Insubordination is rolled twice (Unpaid and Rebellious Army Special Rule)? Yes it may. It is not likely and it is easy to avoid by spending 1 FSP. However there is a risk if you do not do it. 123. Does allied Cossack regiment in the Polish-Lithuanian Commonwealth division count for the purpose of number of medium guns (and light divisional)? In other words if I have 1 infantry regiment and 1 Cossack regiment in my division will I be able to field 1 or 2 medium guns? No, Cossacks are not treated as an infantry or dragoon regiment so do not increase the number of available guns. 124. Can commanded musketeers be created only from Units being the part of a regiment from the start or can I use additional Units attached to the regiment to do this? Only musketeers which are a part of the regiment from the start. 125. Imperial Skirmish Force: Can I do the following: give up arquebuses in order to upgrade the 1-Base cuirassier company into a 2- Base cuirassier company, and then increase it to 3 Bases for +1 FSP? In other words does the base for lack of arquebuses take the gray spot or not? The Base for lack of arquebuses takes ‘the gray spot’. 126. In Lithuanian division of 1668-76 it is possible to field a reiter regiment despite the fact that in the main rulebook the regiment can only be fielded until 1667. Treat the reiter regiment from the main rulebook as available until 1676. 127. Does "By Musketoon and Saber" rule from the Deluge replace the rule of Czarniecki’s division? The rules from Czarniecki PDF do not change, his rules stay the same. 128. Elite Cavalry: Can elite cavalry march while not set up in a column (Move as in Open Order)? 129. Does occupying a building causes the Bases occupying it to lose their Defense Order? Yes. However in the turn in which they moved inside the building they are treated as a Unit with no Order. 130. "Small Skirmish Force" rule forces the enemy to use a force of no more than 7 FSP, and a lack of such force results in an automatic defeat. What happens if Haci Giray/Khovansky force of 7 FSP fights against Polish-Lithuanian Commonwealth/Lithuania and there is an automatic increase of Haci Giray / Khovansky value to 8 FSP, and the Haci Giray / Khovansky player does not have any other forces with 7 FSP or less? Increasing FSP as a result of the special rules of those skirmish forces does not influence the possibility to play against Small Skirmish Forces. This is the only possibility of exceeding the FSP limit when fighting them. 131. A Squadron consisting reiters with and without armor was fielded during deployment – the armor does not count. As a result of the "Division" effect this Squadron is divided according to the Unit structure from before the battle. Does the company recover the equipment/skills lost as a result of forming such a Squadron? Yes. Armor or better Skill and Morale etc., are not lost just not considered if a Squadron consists Units with different characteristics. Similarly in case of losses and Unexpected Reinforcements. You may “kill” the armored Bases so that an armored company arrives from reserves. 132. Can I move a terrain element onto another terrain element (for example a house onto a hill) using the Choice of Terrain effect/ “Without water, mud…” Special Rule? 133. Are dragoons counted as cavalry Bases for the purpose of determining the weaker/stronger player in the Delay the Enemy scenario, as they are in the case of Reconnaissance? 134. Controlling buildings in Attack on a Village: Unoccupied building is controlled by the player that has more Bases within 10cm of the middle of the building. Are only Bases completely within 10cm considered when calculating control or all Bases even if they are only partly within 10cm? How are Bases of Disorganized Units counted? A part of the Base is enough. Disorganized Bases are counted the same way as not-disorganized.